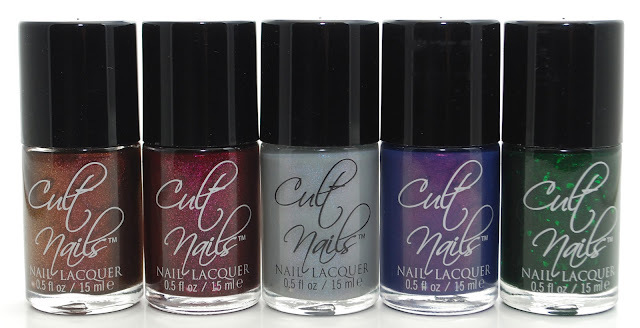 The last Cult Nails collection of 2012 will release with Preview Pricing on Friday November 9th - Thursday November 15th, 2012. Preview pricing allows you to purchase the entire collection at a reduced price of $40 for all 5 colors. The polishes will be available individually starting on Nov 16th for $10 per bottle. Behind Closed Doors features 5 colors. 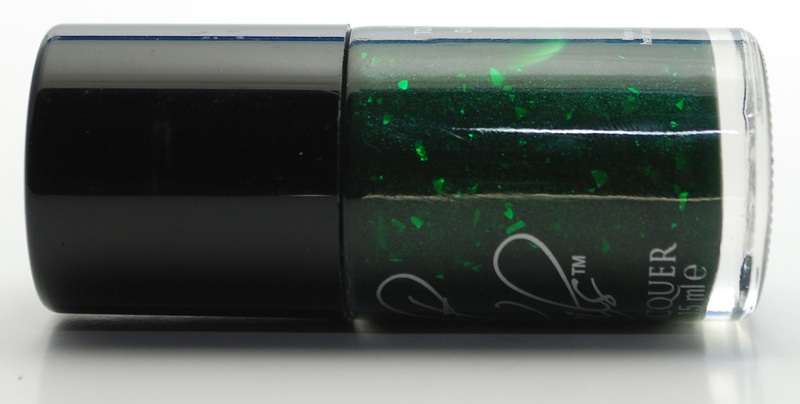 Coveted - a jelly deep green with metallic green flakes and subtle green shimmer. 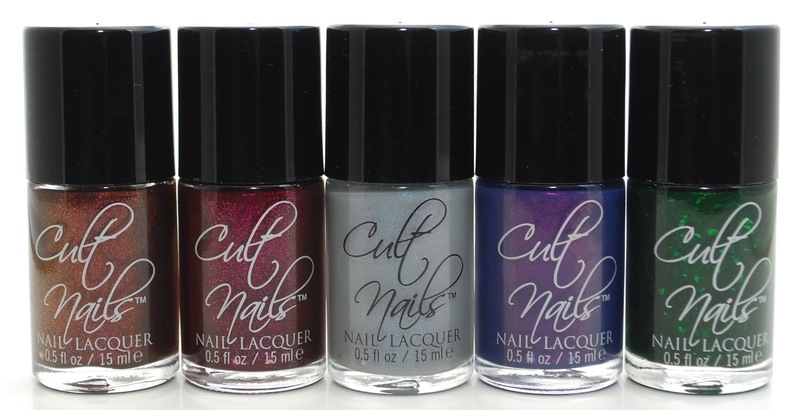 For more information and history on this collection, please visit the Cult Nails blog.